Few things are cuter than bunnies as this image proves. 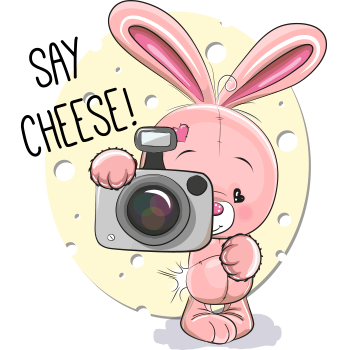 If you've got some cool photos to post on Facebook, you can announce the lot of them with this darling rabbit mascot. Make sure you bookmark our website and follow us on FB so you can always find out when we add new images to our huge inventory of smileys and emoticons.